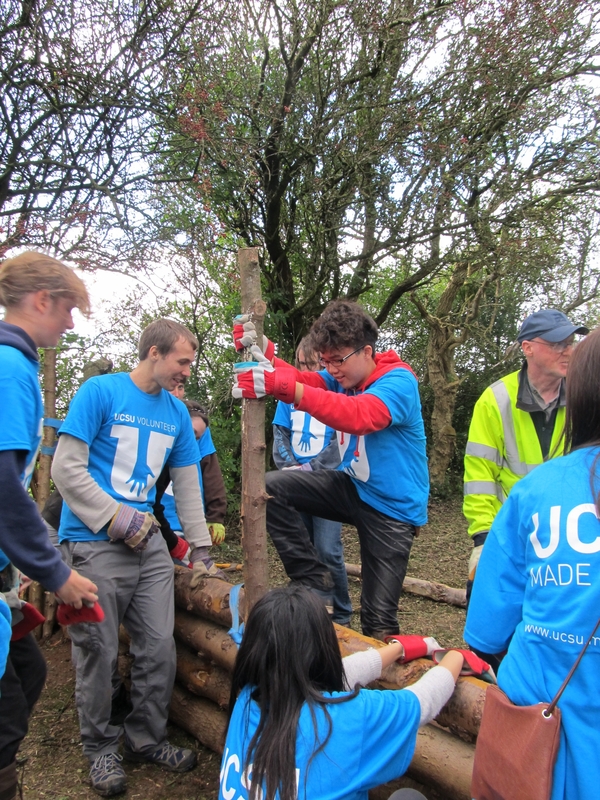 (UCSU) Volunteers and staff took part in UCSU’s first volunteering project day this academic year. The team of volunteers travelled from the Carlisle, Penrith & Lancaster campuses to BeaumontCollege in Lancaster, which offers both residential and day programmes to learners aged between 18 and 25 with a broad range of physical and learning disabilities. 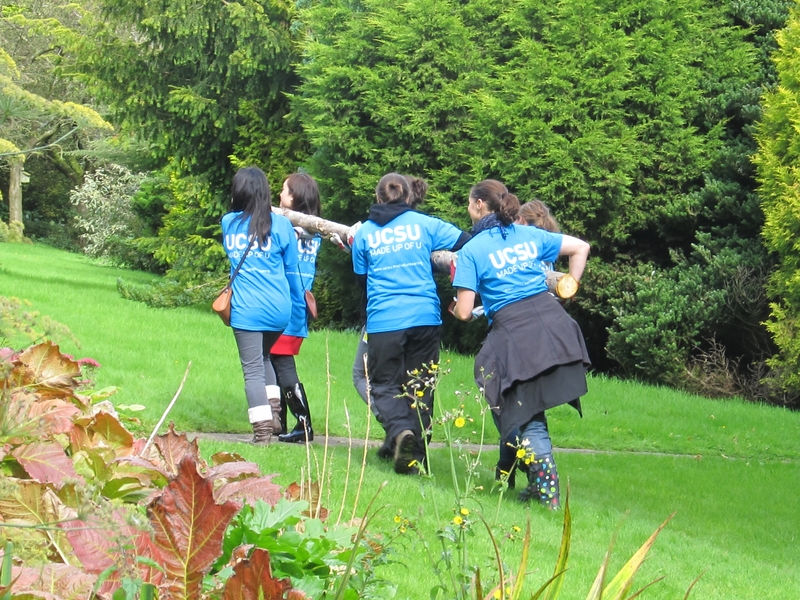 Volunteers helped clear the garden paths, chopping down overhanging branches and pulling out nettles to enable Beaumont students to access the grounds at the back of the College. 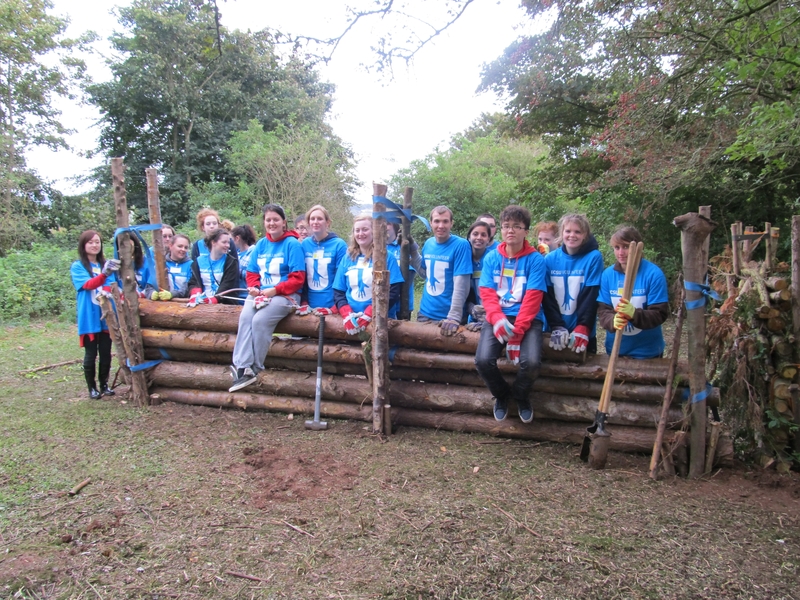 More volunteers built a bonfire to burn the unwanted branches, weeds and nettles. A temporary shelter was constructed, followed by a more permanent structure at the top of the hill behind the main buildings, to help shield BeaumontCollege students from the wind when accessing outside learning activities. UCSU Volunteers were also able to meet some of the students from BeaumontCollege and chat to them about what they were doing and more importantly, which football team they supported! Chris Benson from BeaumontCollege said, “The day’s activities were excellent, lots of fun and learning and international cooperation across a massive range of abilities! The product of putting the wall up was secondary to the involvement and team building between your students and also our learners. Was it not great to see different folk just getting on and working together for the greater good. Could the rest of the world not take a leaf out of our book? So many benefits for all the participants on so many levels, I certainly will be pushing for it to happen again, sooner rather than later.